Is there a lot of unwanted items laying around the house? Maybe need to purge some stuff after the holiday season? Start spring cleaning early this year and organize it for this huge indoor sale on Saturday, March 2 from 9am-1pm. 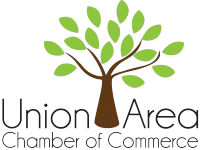 Join UPRD as a seller or bargain hunter during this community Rummage Sale at the Union City Auditorium, located at 500 East Locust Street, Union, Missouri 63084. The fee for a table is $20 per table. Sellers get an eight foot by two and a half foot table to display as many items that can fit on or under the table. Set-up will begin at 6:30am the morning of the event. Sellers are required to stay set-up and onsite for the entire event, until 1pm. UPRD will place ads in the local papers, display signs, plus post on numerous social media sites prior to the event. Food, drinks, bake goods, commercial products, weapons, etc. are not permitted at the sale. UPRD reserves the right to refuse any item for sale that is inappropriate. Sellers are responsible for making change and collecting money for the sale of their own items. Space is limited, so reserve a spot soon! Bargain hunters will not want to miss this sale! Admission will only be one dollar for all ages! There will not be early viewing; doors will open to the public at 9am. For more information or to learn how to register as a seller, please visit www.unionmissouri.org/uprd, call 636.583.8471 or email asullivan@unionmissouri.org.